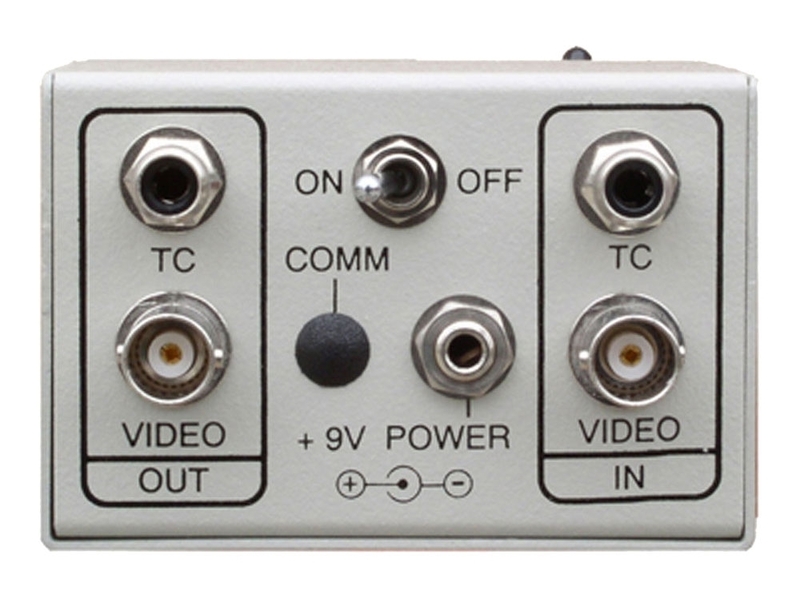 Because the VITC time code is on the first few lines of active video it is not easily noticed on many standard video monitors or television receivers and because it's in the active picture part of the video signal it also does not get removed by time base correctors, frame stores, and most other downstream video processing equipment. Generates standard SMPTE format VITC time code. 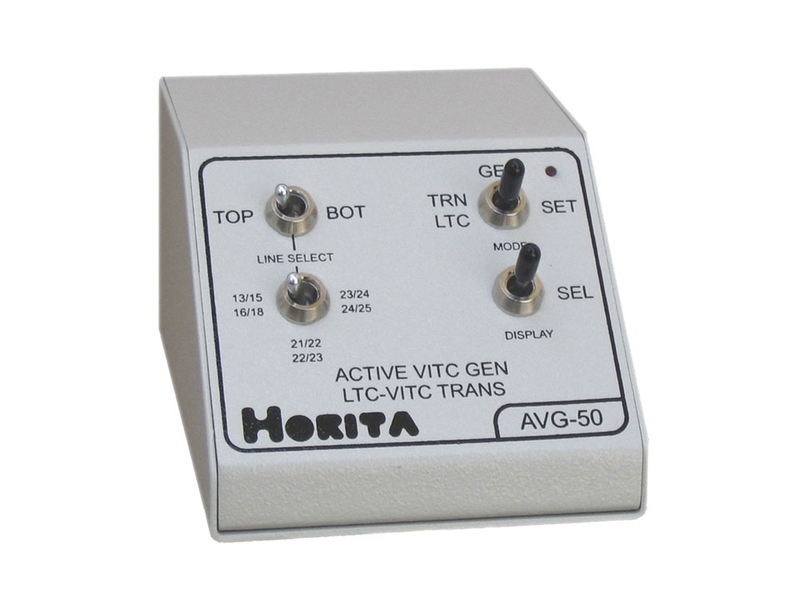 Also reads and translates SMPTE LTC time code input into VITC time code. Available in NTSC RS-170A or PAL 625/50 models. Select from NTSC active video line pairs 21/22, 22/23, 23/24, or 24/25 to insert VITC time code or from line pairs 13/15 or 16/18 for normal VITC location. Select from PAL active video line pairs 22/23, 23/24, 24/25, or 25/26, to insert VITC time code or from line pairs 13/15 or 16/18 for normal VITC location. Keys out and removes incoming video on lines selected for VITC insertion. Controls for line selection, time code/user bit preset, and window display ON/OFF. Rugged aluminum desktop enclosure measures 2" high, 4"long, 3"wide.